I guess this was a very special night at the Carnegie Hall, New York. This concert should celebrate the 85th anniversary of this legendary concert hall. My uncle bought this double LP as a Christmas present for my father back when it first came out. It was recorded in celebration of the 85th anniversary of Carnegie Hall. That concert night featured Leonard Bernstein and members of the NYP, Isaac Stern, Rostropovich, Yehudi Menuhin, and of course, Dieskau and Horowitz! Bach’s double violin concerto in D minor is unpolished with Stern and Menuhin and the entire cast singing Handel’s “Hallelujah” from the Massiah at the end is a bit much and over the top. All lovers of Lieder seem to have a certain passion and veneration for Fischer-Dieskau’s interpretation of Schumann’s Dichterliebe. 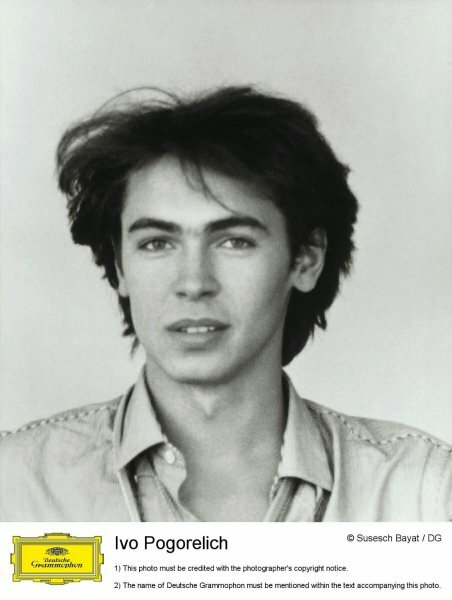 It is appearant that this singer’s understanding of the music, his vocal capacity, his beautiful phrasing, clear diction, and his general (outstanding) musicianship enable him to communicate these Lieder in a way nobody else has done before (save maybe Hotter) or since. And … listen to “Pater Noster” … unbelieveable music … I call this music … spiritual music, even I don´t believe in god ! Piano Concerto No. 1 in B-flat Minor, Op. 23, concerto for piano and orchestra by Pyotr Ilyich Tchaikovsky. The work is particularly famed for the sequence of pounding chords with which the soloist’s part launches the first movement. The piece premiered in Boston, Massachusetts, on October 25, 1875. 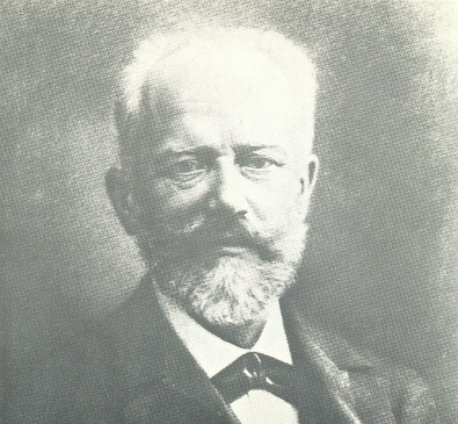 Possessing limited piano skills, Tchaikovsky wrote the concerto intending to persuade a colleague to give the premiere performance. He first approached Nikolay Rubinstein, a pianist and the director of the Moscow Conservatory at which Tchaikovsky taught. Rubinstein condemned the work as badly written and refused to play it unless substantial changes were made. 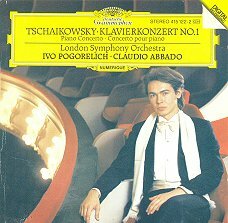 Tchaikovsky declined to revise the piece and offered it instead to the German virtuoso Hans von Bülow, who, finding more to admire than had Rubinstein, agreed to perform it. The premiere, given during an American tour, was an immediate success, and the piece soon became equally popular in Europe. In the face of the new concerto’s undeniable success, Rubinstein withdrew his earlier criticism. He agreed to conduct the Moscow premiere and even made the concerto part of his own repertory. 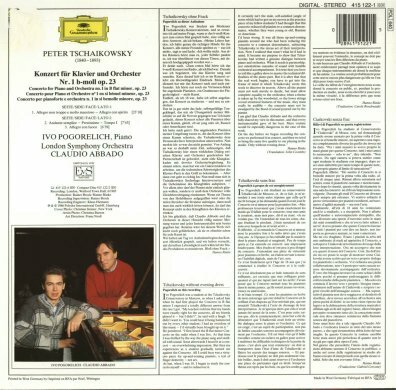 There must be over 100 versions of this concerto in the catalogue by now; though many (thankfully) out of print. I must have heard and owned at least 30 of these over the years; and again half of those did not last the distance. 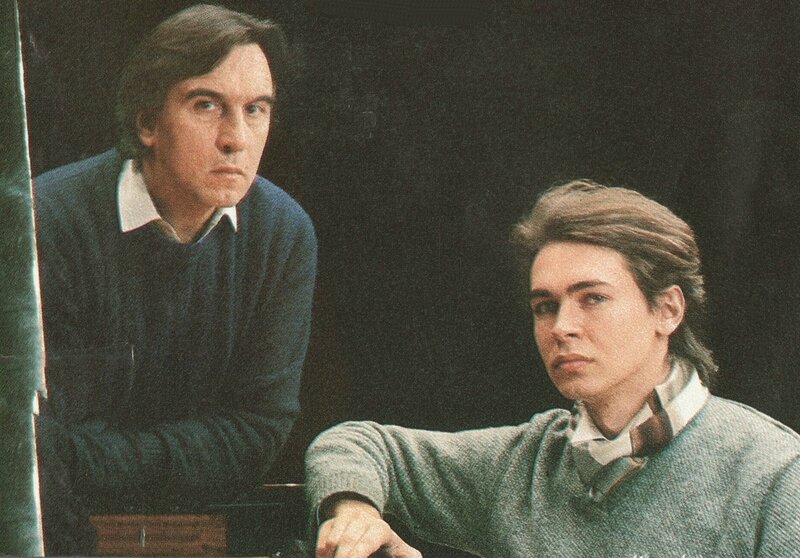 In the end I tend to return to Gilels/Reiner or Richter/Karajan. They are not conspicuously “the best”, but the first is unashamedly virtuosic and the latter rather serious, treating it like a great work of art. Tchaikovsky can take these vagaries of treatment without damage. Too many of the other recordings sound to me like a dozen eggs in one basket. This is where Pogo and Abbado turned out to be a surprise packet. I bought it from my old habit of filling up a hole in my collection. The pianist was very young then, but already (as I discovered) a bit of a “thinker”. He must have really thought over what he was going to do with this old warhorse on his dash into the big world of recording artists. The result is something very fresh sounding, and although the differences to routine seem slight at each point they occur, eventually they add up to a whole and unusual perspective. This is not to be confused with eccentricity. It’s nothing more than placing emphases in novel and unexpected spots. The lyricism is the really strong factor of virtue in this recording. It is clearly heartfelt, not just doodled along, and you can hear it. None of the virtuoso passage stand out as bravura; they are never thundered, but occupy their moment in the logical flow of the whole. Climaxes are musical, a rare accomplishment! 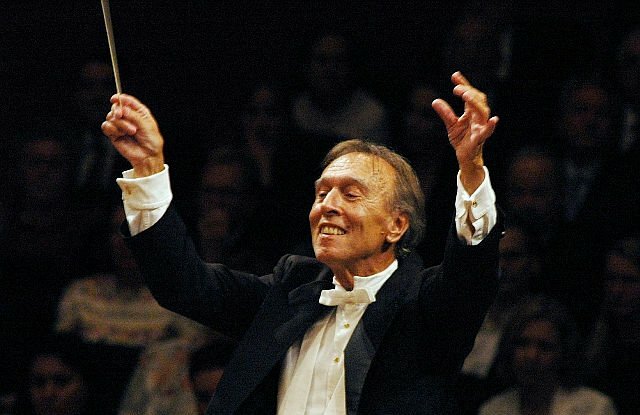 It helps, of course, to have a magnificent instrument like the Chicago Symphony behind you, and Abbado is a very congenial and sympathetic accompanist (I mean this in general: He seems to me the ideal man at the helm in a concerto, no matter who the soloist is). The recording is also outstanding, clear, transparent and wholly musical. 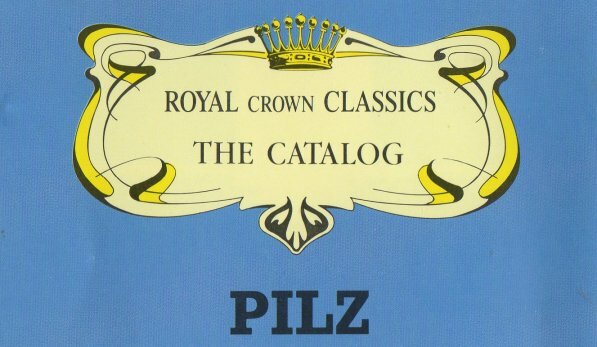 The Pilz Media Group (founded by Reiner E. Pilz) was a small German record label for classic music (not to be confused with Pilz Records, the legendary label for German Krautrock music. 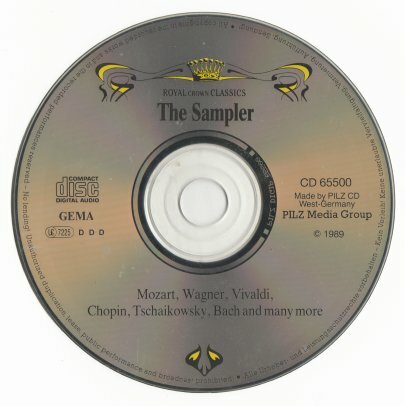 They were first marketed in the USA in a gigantic mail order package of 100 CDs at a cost of about $5 per disk, offering the “Vienna Master Series” of major symphonic, chamber, and piano repertoire. Lately they have been turning up on single disks and even in double disk sets at the cost of only $3.99 or even less for 2 CDs, or $1 to $2 per single disk, at dealers like Blockbuster Music. 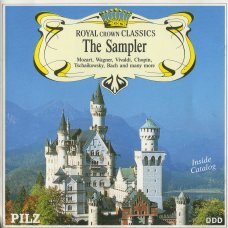 They released at the end of the Eighties this sampler with music from their Catalog. 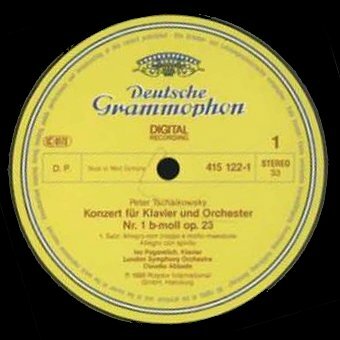 Unfortunately they didn´t give us any informations about the musicians and orchestras we can hear on this beautiful record.